Human Rights Activists News Agency (HRANA) – “I was acquitted!” wrote Safiyeh Gharebaghi, a Zanjan-based civil rights activist, on November 6th. That day, Judge Siyadi of Zanjan Revolutionary Court Branch 1 acquitted her of all charges, namely propaganda against the regime and gathering and conspiring against national security. No verdict has yet been issued on Gharebaghi’s separate case in Zanjan General Court, where she faces charges of spreading lies and disrupting the public mind. Gharebaghi was initially detained by the Zanjan Intelligence Office in 2017 on charges of propaganda against the regime in cyberspace, abetting sedition, and spreading lies. Her cited infractions included protesting gender inequality, voicing support of political prisoners and the sedition movement, and signing a condolence letter for the late father of opposition leader Mir-Hossein Mousavi. Human Rights Activists News Agency (HRANA)- On November 6, 2018, women’s rights activist and sociology graduate Najmeh Vahedi, who was arrested in her home by security forces on September 1st, was released on bail pending trial. Vahedi was one of many snared in the judiciary’s recently-revived sanctions on women’s rights activists. With her comrade Hoda Amid, Vahedi had reportedly held educational training workshops for women inquiring about their rights in marriage contracts. Human Rights Watch issued a statement on September 5th of this year asking Iranian authorities to stop the repression of human rights defenders like Amid and Vahedi and to immediately release those who are in custody for peaceful expressions of dissent. Later that month, 750 civil rights activists inside and outside Iran issued a statement condemning the persecution of women’s rights defenders, demanding their immediate and unconditional release. Last week, the voice of Amnesty International joined the outcry against the civil crackdowns, demanding that affected prisoners be immediately released and that defendants not be limited to a list of regime-designated attorneys. Human Rights Activist News Agency (HRANA) – Lawyer and women’s rights activist Hoda Amid was released on bail on the evening of Sunday, November 4th after being incarcerated for 65 days. On September 29th, 750 civil rights activists inside and outside Iran issued a statement condemning the persecution of women’s rights defenders, including Amid, demanding their immediate and unconditional release. Human Rights Activist News Agency (HRANA) – Branch 26 of Tehran’s Revolutionary Court convened today, October 6th to read civil activist Leila Mir-Ghaffari her most recent charges: insulting the supreme leader and rebelling against authorities. Her attorney Mohammad Hossein Aghasi was present at the session, which was presided by Judge Ahmadzadeh. Mir-Ghaffari was detained just three days earlier for defending a group known as the Girls of Enghelab Street who famously demonstrated against mandatory veiling for women. Morality Court ordered her to pay a fine of 3,200,000 tomans [approximately $800 USD], and she was released on bail the next day. On June 13, 2018, Mir-Ghaffari was among a group of civil rights activists summoned to appeals court to review their charges of 91 days’ imprisonment and 74 lashes apiece. Judge Farshid Dehghani presided over their preliminary trial on February 9, 2016 in Tehran Criminal Court No. 2, Branch 1060. Mir-Ghaffari and 17 other civil activists were arrested November 2016 for staging a peaceful gathering across from Evin Prison. Authorities sent the women protestors to Gharchak Prison and the men to Evin. Charged with disrupting the public peace, they were eventually released on bail of 50,000,000 tomans [approximately $12,000 USD]. Her co-arrestees were Reza Mak’iyan (Malak), Hashem Zaynali, Simin Ayvazzadeh, Ehsan Khaybar, Abdulazim Aruji, Mohsen Haseli, Mohsen Shojaie, Azam Najafi, Parvin Soleymani, Sharmin Yamani, Sala Saie, Arshiya Rahmati, Mas’ud Hamidi, Ali Babaie, Ismaeil Husayni, Farideh Tusi, and Zahra Mudarreszadeh. 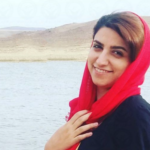 Rezvaneh Mohammadi was released on bail on Saturday October 20, 2018. 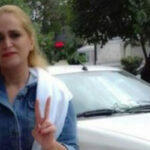 Human Rights Activists News Agency (HRANA) – On Saturday, September 29th, women’s rights activist Rezvaneh Mohammadi was transferred to the Women’s Ward of Evin Prison at the end of her interrogation. She had been in custody in an undisclosed location since her arrest by security forces September 3rd. Mohammadi is among a group of women’s and civil rights activists who in recent months have been pursued with renewed fervor by authorities. Najmeh Vahedi, Hoda Amid, and Maryam Azad, also women’s rights activists, have all been detained for unknown reasons during this period. More than 750 domestic and foreign civil activists issued a statement over the weekend in protest of the increasing pressures on Iranian women’s rights activists, demanding their immediate and unconditional release. 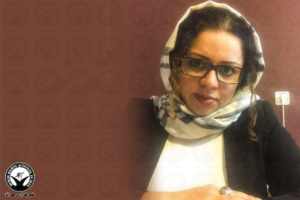 Human Rights Watch issued a statement on September 5th of this year asking Iranian authorities to stop the repression of human rights defenders like Hoda Amid and Najmeh Vahedi and to immediately release those who are in custody for peaceful expressions of dissent. Amnesty International also voiced their opposition to this civil crackdown last month, demanding that affected prisoners be immediately released and that defendants not be limited to a list of regime-designated attorneys. 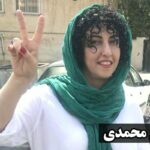 Human Rights Activists News Agency (HRANA) – Deputy of the Defenders of Human Rights Center Narges Mohammadi was released on a three-day furlough on September 26, 2018. Reporting the news of her furlough to HRANA, Mohammadi’s spouse Taghi Rahmani shared that Mohammadi will need long-term medical furlough to get adequate care for her illness. Prior to Mohammadi’s furlough release, her mother Ozra Bazargan wrote to the Prosecutor of Tehran with the request that her daughter is granted a furlough to visit her ailing father. From June 30th – July 5th of this year, Mohammadi was released from prison to get back surgery at an outside hospital. 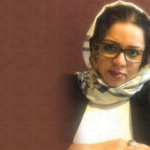 On August 6th, prison authorities prevented Mohammadi from being transferred out of Evin Prison to see a neurologist, only to approve her transfer to Imam Khomeini Hospital when she fell into critical condition one week later. According to Narges Mohammadi, her trial judge treated her with bias and hostility, openly defending the charges levied against her by officials from the Ministry of Intelligence and accusing her of trying to “warp divine law” for her demonstrations of dissent against capital punishment. The additional six years of Narges Mohammadi’s imprisonment were issued in connection to her peaceful human rights activism, which translated in court to charges of “gathering and conspiring against national security” and “propaganda against the regime.” Her offenses included giving media interviews about human rights violations, her participation in peaceful gatherings to support the families of prisoners on death row, her contact with other human rights defenders (including Nobel Peace Prize laureate Shirin Ebadi), her participation in peaceful protests to condemn acid attacks against women, and her 2014* meeting with Catherine Ashton. In Autumn of 2016, Branch 36 of the Tehran Appeals Court upheld Narges Mohammadi’s prison sentence. 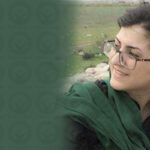 In May 2017, her request for a retrial was reportedly rejected by Iran’s Supreme Court. Human Rights Activists News Agency (HRANA) – Rezvaneh Mohammadi is the third women’s rights activist to be taken into custody by authorities in the past three days. 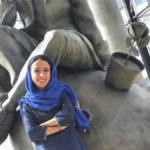 A source close to Mohammadi’s family told HRANA that she was arrested by security forces for unknown reasons on the evening of Monday, September 3, 2018. Mohammadi’s arrest comes only two days after the arrests of activists Najmeh Vahedi and Hoda Amid, an attorney, on September 1st. The two were reportedly arrested for hosting training workshops for women inquiring about their rights in marriage contracts. At the time of this report, no further information was available on their conditions or the reasons behind their arrests. Mohammadi, Vahedi, and Amid join a recent wave of citizens detained for their active and public defense of human rights. Lawyers Arash Kaykhosravi, Payam Dorafshan, Farrokh Forouzan, and Ghasem Sholeh-Saadi were detained in August. Dorafshan and Forouzan have since been released. Human Rights Activists News Agency (HRANA)- Women’s rights activist Najmeh Vahedi was arrested at her home by security forces on September 1, 2018. At the time of this report, no further information was available on her condition or the reasons behind her arrest. HRANA previously reported on the case of Hoda Amid, an attorney and women’s rights activist, who was detained the same day. 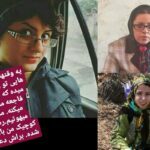 Vahedi and Amid had reportedly held educational training workshops for women inquiring about their rights in marriage contracts. Vahedi and Amid’s arrests are part of a crackdown on lawyers and activists that has muscled up in recent months, including the arrest of prominent human rights lawyer Nasrin Sotoudeh on June 13th.